More Praise for Our Peeps! 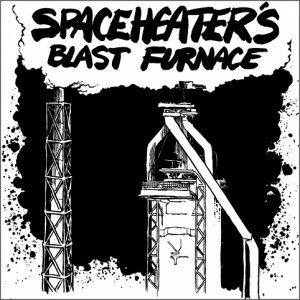 Evan Francis, one of our longest standing reed players has received a pretty stellar review for his group Spaceheater’s Blast Furnace and their self titled album. Not only does Evan play on this one, but he composed seven of the ten songs on the album. You can find the Evan and Spaceheater on MySpace, Facebook, and at Jazz Mafia. If you’re fortunate enough to be in the San Fransisco Bay area, we highly recommend checking them out live! So I was reading this post by Jason Parker (@1WorkinMusician). Jason’s got a great new way to get people talking about his music and it requires (relatively speaking) little overhead. What’s more, it does seem to build in a bit of the sort of story that people will likely talk about with their friends as well. That, of course, is something worth its weight in gold – the opportunity to have people do your marketing for you by word of mouth. It’s a great idea. It’s great marketing. It’s fun, and I commend him for doing it. It’s exceedingly frustrating to me that I see people like Jason, or Andrew Durkin, or Joe Trainor struggling just to get people to get off their asses and to pay attention. These are craftsmen working for what? 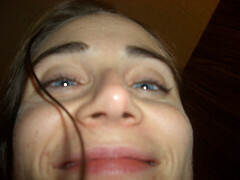 To create something for other people to enjoy! Then they have to drag them out just to have those same people enjoy those efforts! Let’s do a little math here: Let’s say for a moment that Jason’s CD cost him $5/cd to make. Between recording costs, packaging, printing, rehersals, shipping, and who knows what all else, I’m betting it’s probably more, but let’s start there. That means that (for this particular effort) he’s spending $500 just to benefit others and have them hear his music. Those same people could have likely spent just a few bucks to see a show with Jason, his band, and likely at least one other act and benefitted him in return for his gift. I know, I know. I’m probably getting a bit preachy here, but I can’t help but get frustrated when I see this sort of crap all the time. What will it take for us as a society to value our artists enough that they don’t have to have the cursed day job, or be their own marketing department, and allow them to just make their music, or paint their art, or just dance? So Durkin sent me an email about this post. I read the article (and a few others – Copyblogger may become a regular read for me) and I found myself thinking about the website. It really doesn’t seem all that trustworthy. Oh – don’t get me wrong – it’s not like I think that it looks skeevy or like something that you should be concerned about – it just doesn’t look to me like someplace to spend money. Let’s face it – it would be really great if the site brought in some more money for the band to ease at least that burden a bit. This got me to thinking about what people might want to see to make them a bit more comfortable with the idea of ordering cds and other merchandise through the site. The article mentions anti-hacker and BBB badges. Anyone have anything else? What would make you feel more comfortable?